A perspective piece in the latest Science by G. Mace talks about the shifts of framing and purpose of conservation. 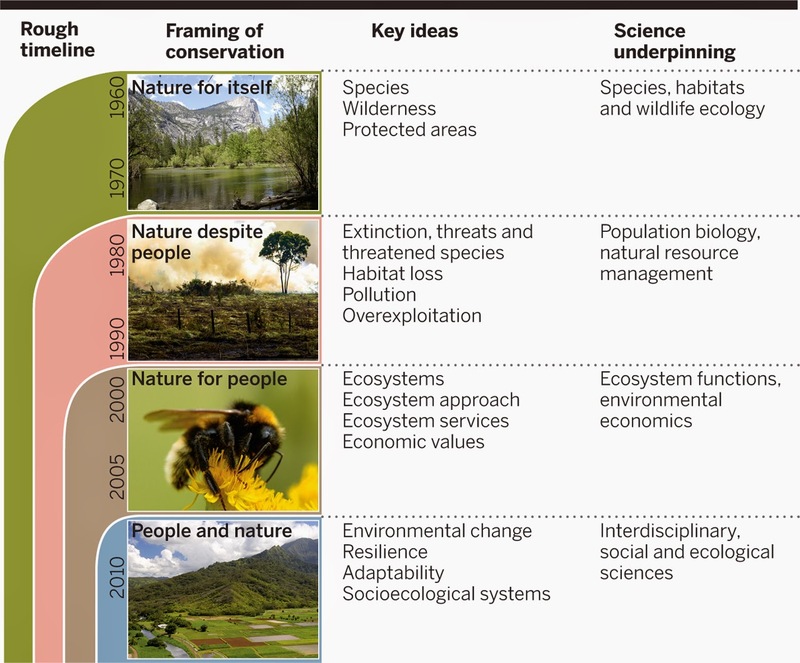 According to the author, there have been four main phases in the modern framing of conservation in the developed world (figure above), and "People and nature" is where we are right now. Moving away from "Nature for people," an overly utilitarian paradigm, this new model emphasizes the two-way, mulch-layered and multidimensional relationships between people and nature. One concern of this latest paradigm though is that it lacks the analytical foundations that made the earlier ones both deliverable and measurable.